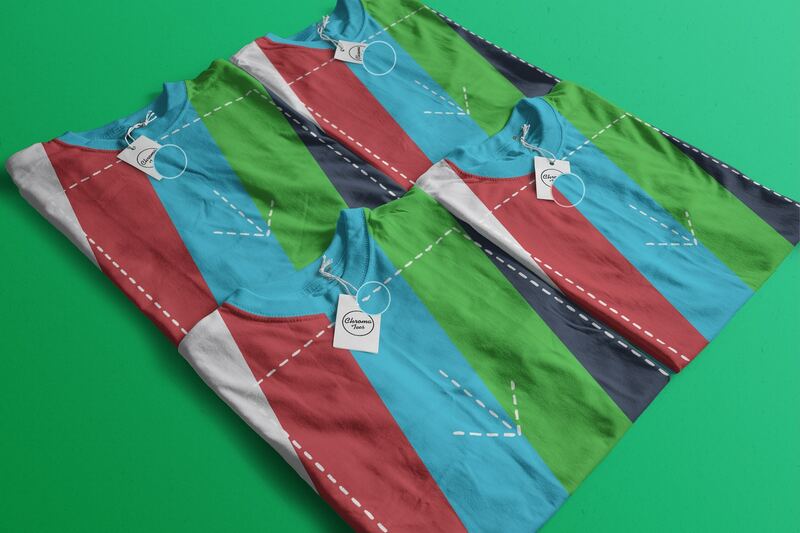 Four t-shirts folded on an high angle will make this mockup one of your favorites, you will be able to get as many variations as you like and see your shirts in four different colors at once. 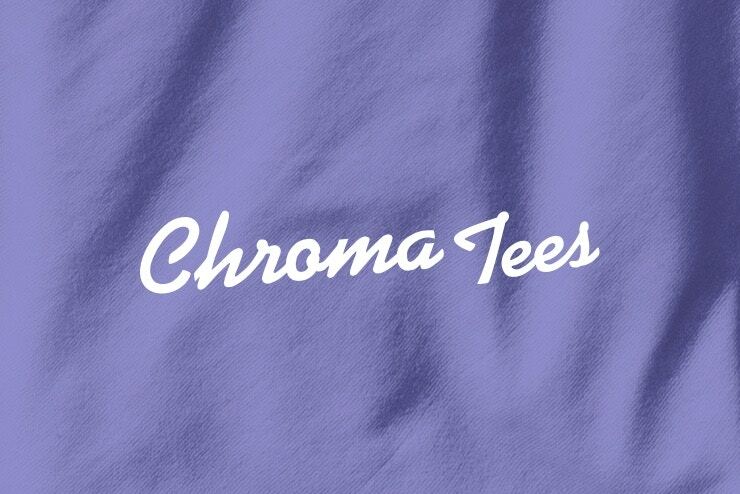 With a few “clicks" you will edit the artwork and the color of each t-shirt. 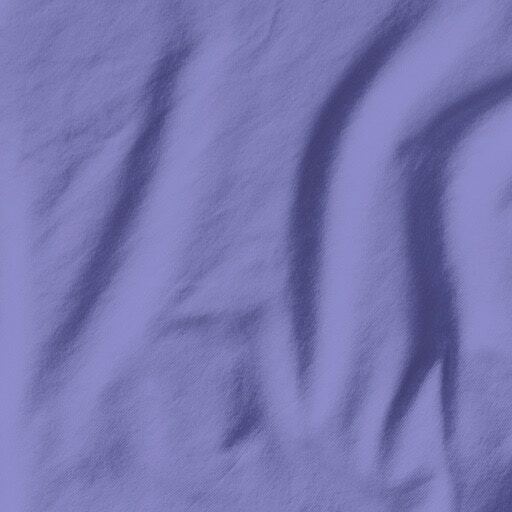 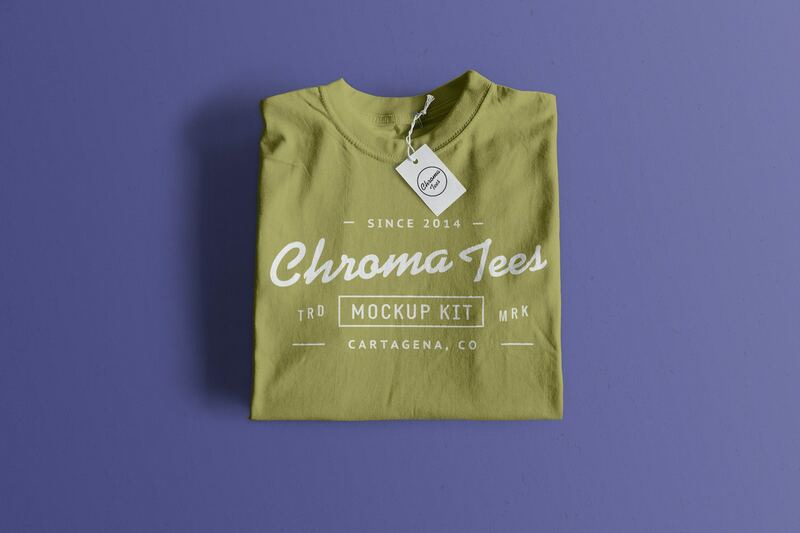 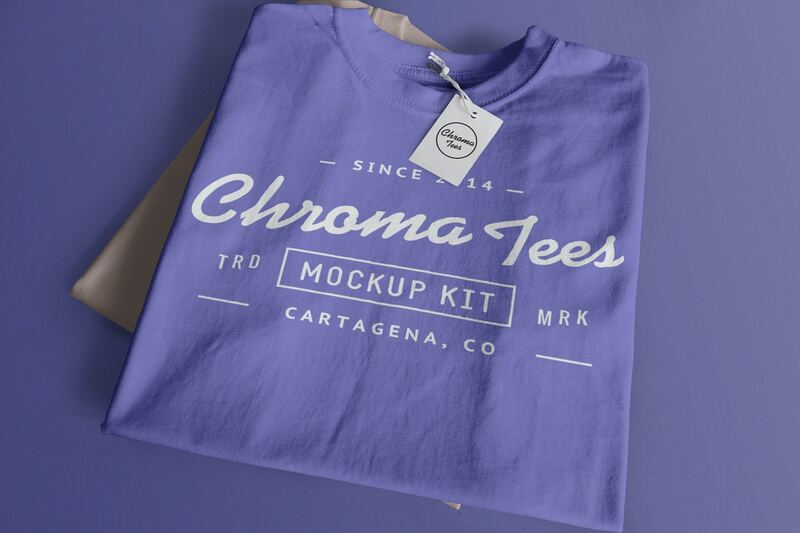 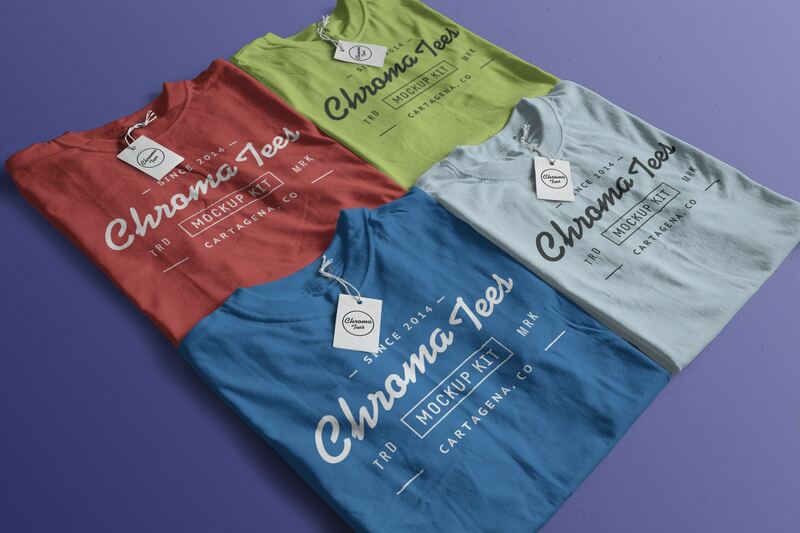 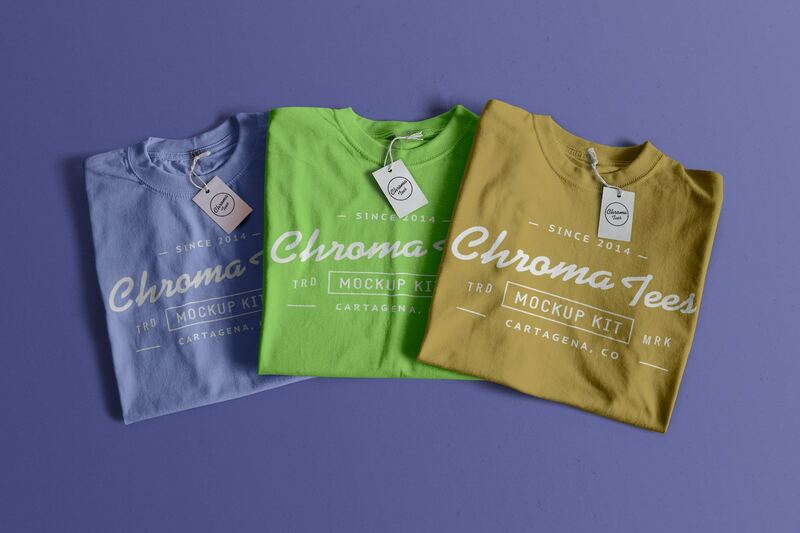 The displacement map will allow your artwork fit in to the folds of each t-shirt resulting in a photorealistic mockup that will make your design look really good.